"Finders Keepers" is all about showing you a side of watch dealers you rarely see: The watches they aren't trying to sell you. Those special timepieces they've come across that have a sentimental value far exceeding their market value. Killer inventory may lead you to a dealer, but ultimately you do business with one because you trust them. As much as you're buying a watch, you're also "buying the seller." When it's David Kim dealing watches...I'm all-in. David's a collector at heart, who wrestles with putting on his dealer hat when amazing watches find their way into his lap. But one reason he got into this business was to give people an opportunity to feel the same pleasure he gets from owning vintage watches. That higher purpose is why he eventually comes around and makes available some pretty stunning vintage watches. He goes by frogman4me on the vintage rolex forum, rolexforums, and Instagram because his favorite watches have always been divers. 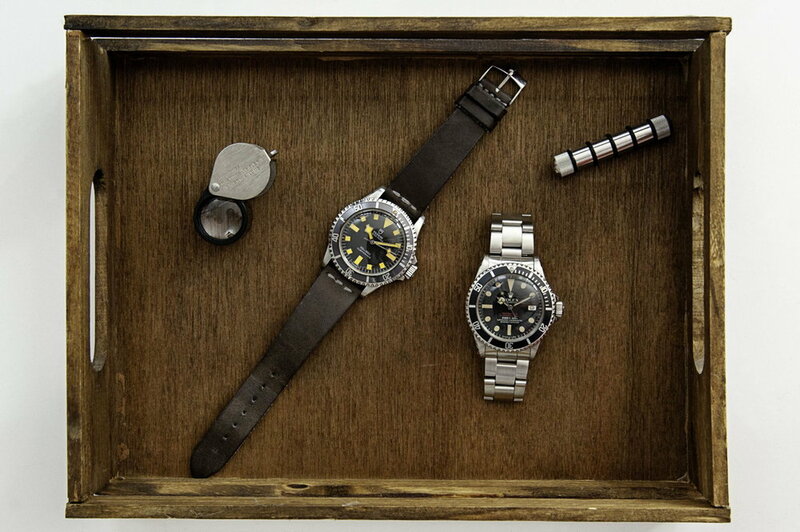 In a few weeks, his entire selection will be ready to shop on his website, Watches With Patina. But two divers that'll never be listed are his insanely patina'd Tudor "Snowflake" and perhaps the granddaddy of all divers, his Rolex "Double Red" Sea Dweller. David was the first to reply to the for sale listing when this Tudor "Snowflake" was up for grabs some years ago. For obvious reasons, watch lovers were lined up around the block for it. But the seller didn't start a bidding war. Rather, he honored David's position in line and sold it to him for the asking price. Today, as a dealer, David pays forward this gesture by keeping his word with customers. They say you never forget your first love. In David's case, he'll never sell the watch that got him hooked on vintage. 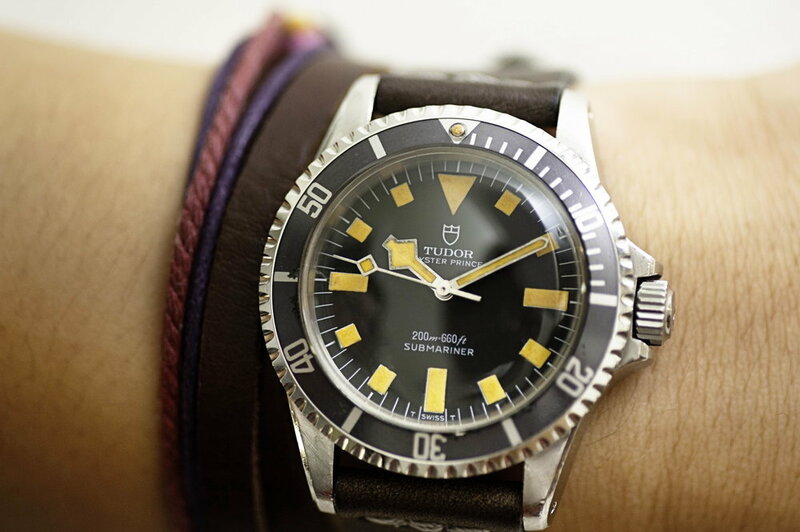 Sorry #watchfam...this Tudor is NOT FOR SALE. His dream eventually came true when that same collector friend surprised him one day by saying "I'll sell you mine..." David was "stoked" to get this watch. And the "icing on the cake"...it came with a service guarantee from Bexley, the acclaimed Rolex UK Service Center. It also included a certificate of authenticity with James Dowling's signature, author of the Rolex bible "The Best of Time: Rolex Wristwatches." Turns out, this "Double Red" had not only been in the hands of Mr. Rolex himself, but also resided in his safe at one time. David hit the trifecta with his Sea Dweller: It's an endgame diver for any collection, it's vintage, and its story is not only steeped in dive watch history, but it's linked to a world-renowned Rolex guru. That's why if you ask him - even politely - if he'll sell it...he'll politely tell you it's NOT FOR SALE.